Dear Parents, Assalamu alaikum wa rahmatullah! 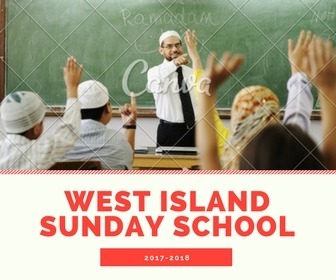 Welcome to the 2017-2018 registration of the West Island Islamic Sunday School. Please take a couple of minutes carefully read and answer the following registration form. In order to accommodate this additional expense, the registration rates have slightly increased for the following for the school year (September 2017 – June 2018). Payment options will be available. Reduced fees are are possible if needed. Please contact hilmwestisland@gmail.com.